Soon-to-be college students were given a big send-off Monday, complete with school supplies, as they head to their campuses. 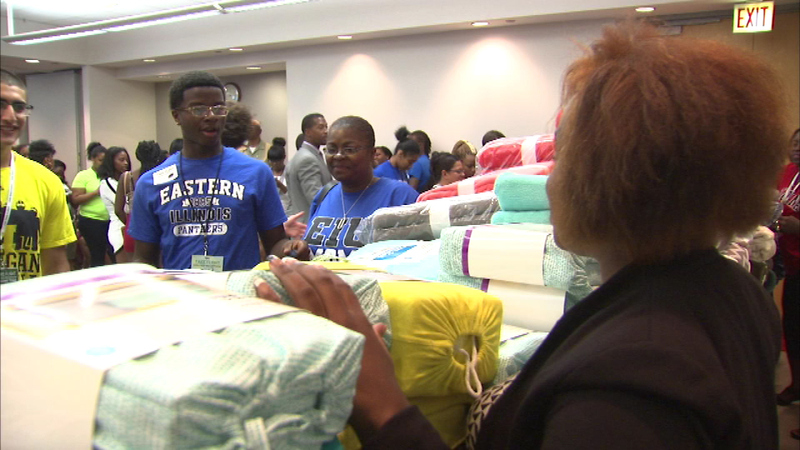 CHICAGO (WLS) -- Soon-to-be college students were given a big send-off Monday, complete with school supplies, as they head to their campuses. The CHA Take Flight College Send-Off is helping students head off to school with dorm room necessities, such as bed sheets, lamps and towels. More than 150 students are receiving supplies, and more than 70 percent of those are also receiving CHA scholarships. The student send-off began five years ago. The program also provides one-on-one college transition counseling and support.